Provide the following information and select from our newsletter topics to subscribe to the Humentum mailing list. Please enter the name of your organization if your organization is not available in the autocomplete field above. Limit is 80 characters. Emails about professional trainings in the US. Emails about regional, non-US professional trainings. 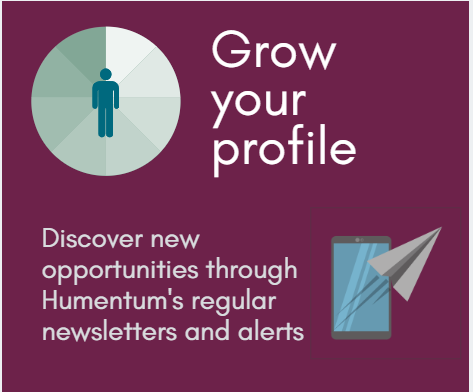 Join the thousands who receive regular communications from Humentum about our range of training and support activities including networking, convening and consulting. We send information out monthly, comprising a range of news and blog articles, videos, podcasts, infographics, resources, and information on our range of trainers and workshops, all relevant to the specific subject areas of compliance, financial management, program management and HR & Learning. In addition you can also sign up for individual workshop alerts, so you can always be kept in the know when a training workshop is going to be running near you.